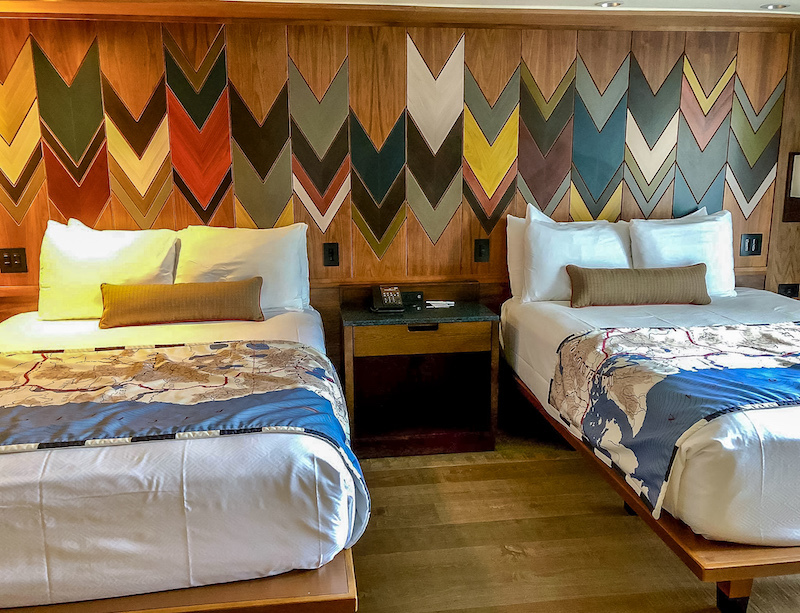 If it’s nature that speaks to you then consider a stay at the sparkling new Copper Creek Villas at Disney’s Wilderness Lodge. Here you’ll find an enchanting scene of roaring waterfalls, rushing creeks, and towering pines. And if you are looking for the best of the best, then look no further than one of the four, 3-bedroom Grand Villas. These corner units, one on each of the first four floors, are absolutely ideal for extended family vacations. Sleeping a total of 12 people in one king-size bed, 4 queen-size beds and one queen-size sleeper sofa, they come with a whopping 3,200 square feet. Talk about room to spread out! These villas are gorgeous, and the open living, dining, kitchen plan is one that encourages family gathering time. 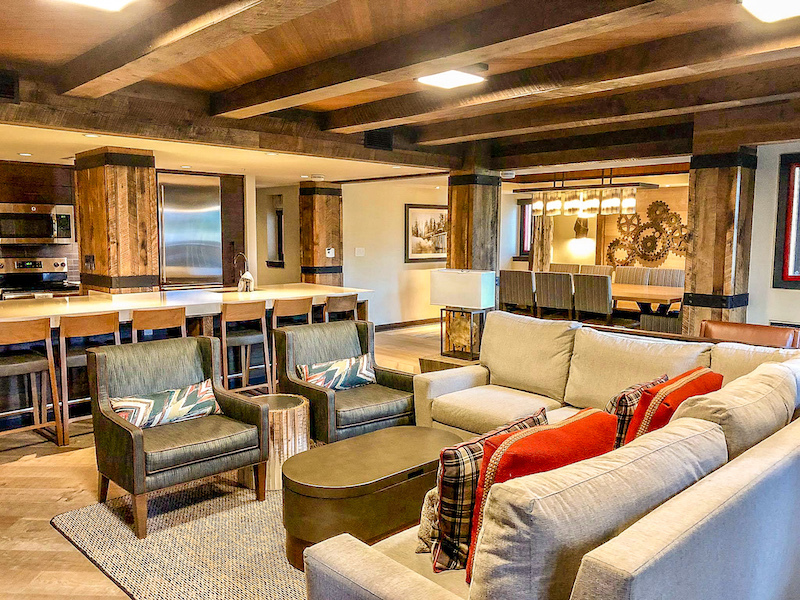 Hardwood flooring throughout mixed with area rugs and beamed wood ceilings add to the slightly rustic yet sophisticated look. The living area comes with an oversized, cream-hued sectional sofa—part of which is a queen sleeper—two chocolate brown easy chairs, sofa table, and oval coffee table. A big-screen TV surrounded by loads of cabinetry and shelving space is perfect for family viewing. And here you’ll also find a lengthy but shallow balcony overlooking Geyser Point. The massive dining table, set in an alcove, seats 12, and there’s a small stand-up balcony as well. Overlooking the fully-equipped kitchen is a large quartz island composed of cream-colored quartz which holds the sink and seating for 6. The kitchen is one that you can truly cook in with a large refrigerator, electric stove, microwave, and dishwasher. 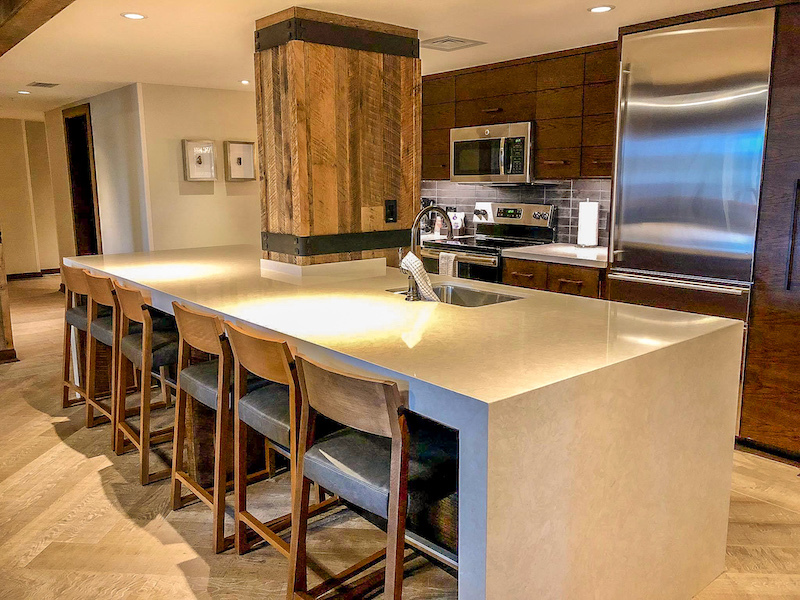 On one side of the living area is a master bedroom and the first of two guest rooms, both of which share a balcony or patio overlooking Geyser Point. In the master bedroom is a king bed with a leather headboard with a Native American motif, easy chair and ottoman, desk, large bureau, TV, and small walk-in closet. 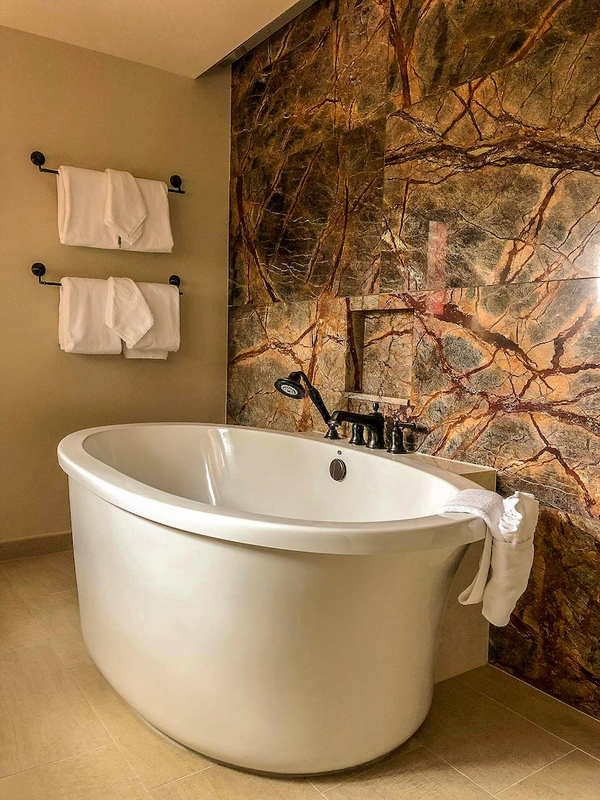 The impressive master bath is semi-separated by a chocolate-colored marble wall into two areas: one area with double sinks set in a cream quartz vanity with in-mirror TV, an oversized shower with pebble flooring and two shower heads—one of them a rain shower—and a separate toilet area; the other area has a stand-alone, bubble-jet tub and a wall of high, curtained windows. Next to the master is a guest room with two queen beds, desk, bureau, and TV, and across the hall a single sink bath with shower. 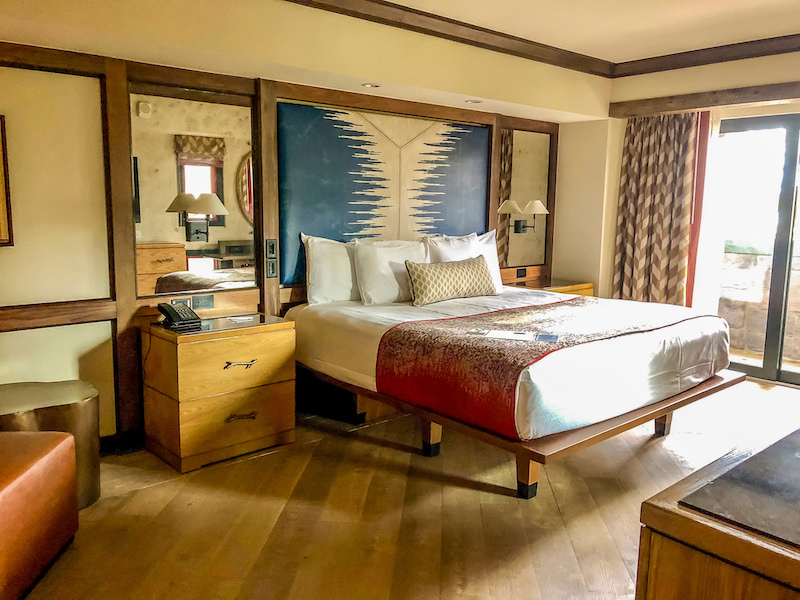 On the opposite side of the living area is a guest room with a fun Native American wood-paneled wall, two queen beds with explorer map motif runners, a bureau, TV, and desk, and a balcony or patio overlooking the courtyard pool area. 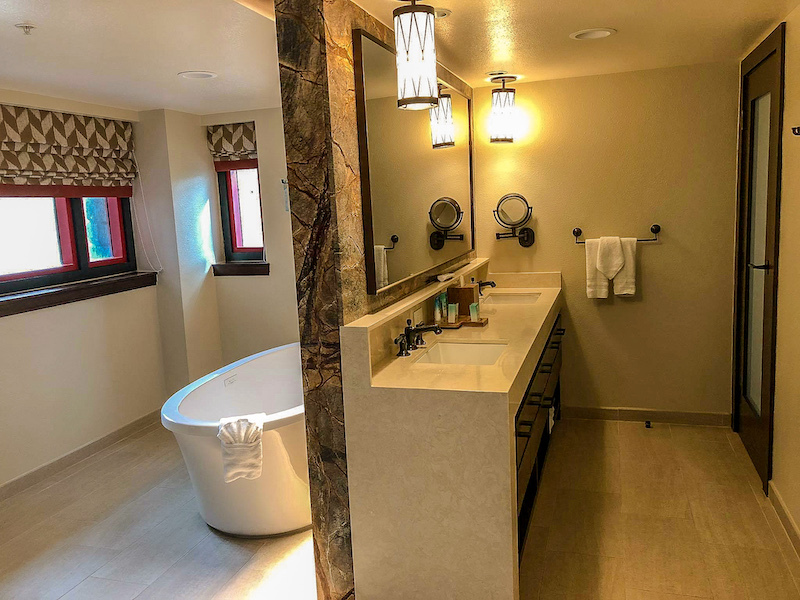 Attached is a single sink bath with shower and walk-in closet. Other benefits include a stacked washer/dryer and a nice welcome amenity. Now if you are looking for waterside options then one of the Copper Creek Cabins is your best bet. More on that to come! The expert travel advisors at Glass Slipper Concierge® will work with you to create the perfectly planned Disney trip of a lifetime, making sure nothing is left to chance. Please submit an online consultation request to begin. Cara Goldsbury is the author of The Luxury Guide to Disney Vacations. 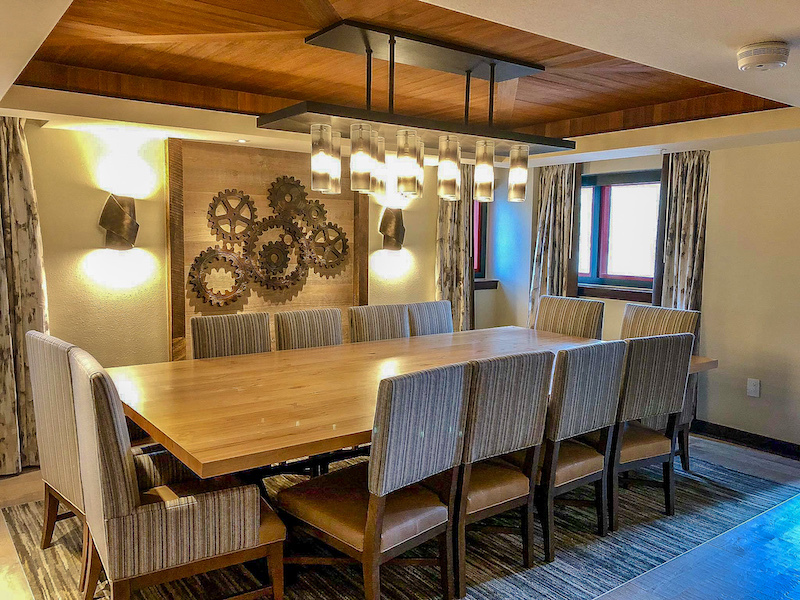 She is Chief Executive Concierge at Glass Slipper Concierge®, a travel agency specializing in selling Disney vacations, and has appeared as a leading Disney expert on two Travel Channel specials, Disney Splurge! and Disney Royalty. 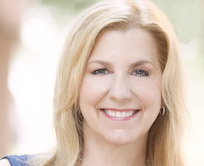 She has also been cited numerous times in national news articles, in such notable publications as The New York Times, New York Post, Travel Weekly, and Forbes Traveler, as an expert on the Walt Disney World® Resort. Visit her Luxury Travel & Life blog at Cara Goldsbury.com.